Fibre optic cable provides the greatest transmission speed compared to any other medium and is not susceptible to electromagnetic noise, unlike copper cabling. Fibre optic cabling is primarily used to link communication hubs and buildings where the distance is greater than the capability of copper, or a high-capacity backbone is required. The advantages of fibre optic over copper cabling also include reduced size, greater bandwidth and increased security. The range of fibre optic cable systems Ultima offers include OM1 and OM3 Multimode and OS1 Singlemode with final termination in SC, ST, LC and MTRJ. 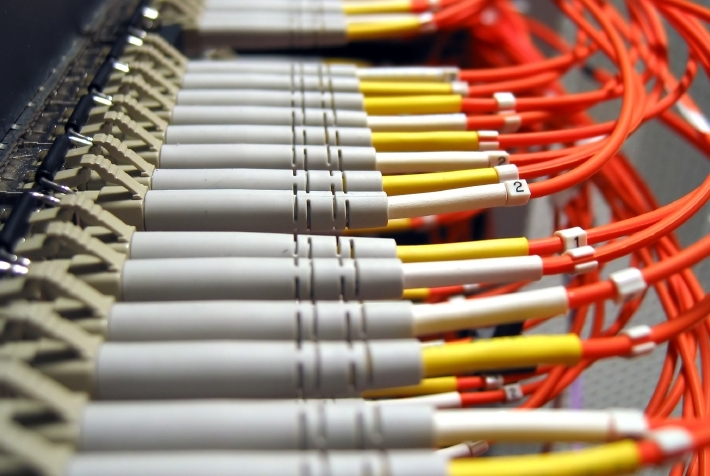 Ultima is highly experienced in the provision of fibre optic cable installations. We offer a nation-wide service including the design, installation, testing and commissioning of fibre optic cabling. We also repair fibre optic cable using fusion splicing to ensure the best performance.